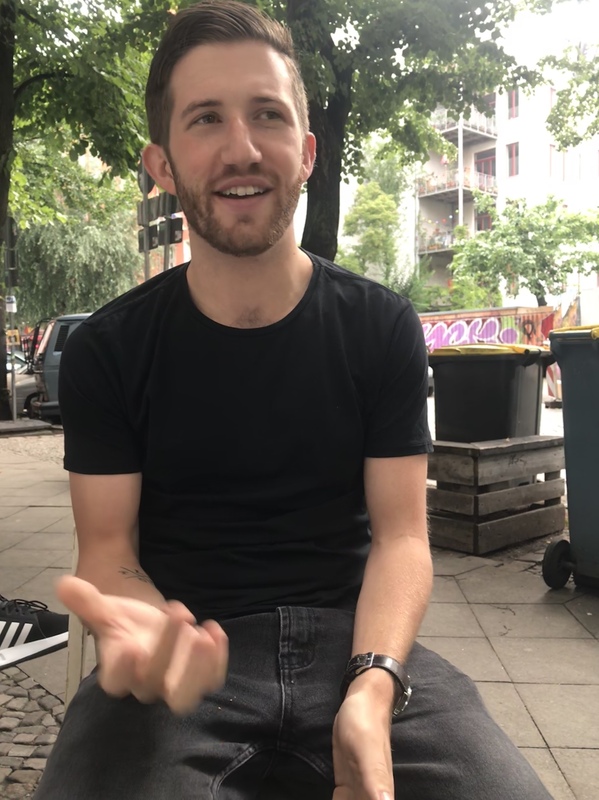 Vor über einem Jahr kam der junge amerikanische PR-Profi Will Gluckin nach Berlin – und ließ sein New Yorker Leben vorerst hinter sich. Wie hat er das erlebt? Wie fühlt sich das heute an? Will teilt hier sein Zwischenfazit mit uns. I owe my start in PR to a gift for telling stories to anyone who will listen. Some years ago now, I landed in (or fell backwards into) the New York PR agency world fresh out of university, and I started telling stories. I told stories about money; about software; about people; about inventions. I told stories to business press, to trade magazines, to reporters, editors, radio stations, and TV news producers. I once told a great story about a tech billionaire’s four little puppies, and how happy they make him. I also had to tell some pretty boring stories about broadband cables and electrical wiring, but I managed to tell those fairly well too. My storytelling carried me pretty far. A few years into my career, I was in a groove: I knew what I was good at, I felt valued on my teams, and my stories made clients happy. I didn’t often stop to ask how my stories made a difference for businesses, or how they connected to anything else my clients were doing. As long as they were happy, so was I. I felt like I was at the top of my game. That’s when I decided it was time to take a risk and move to Berlin. I’d gotten in touch with this travel startup called GetYourGuide, which had gotten big and attracted a lot of funding, but it needed help crafting and telling stories to press. With ambitions to scale globally, GetYourGuide had a lot of stories to share, and a lot of people it wanted to reach with them. So I took the gig, packed up and moved to Germany. I remember thinking it didn’t matter that I didn’t have much experience with consumer brands, or that I’d never worked with a travel company, or told a single good travel story to a journalist. I liked to travel, I liked telling stories; logically, then, I could tell travel stories. How hard could it be? Pretty hard, as it turns out. Eager to impress, I started firing off pitches to media in my first week at GetYourGuide. I wanted to show the company what I knew how to do. I remember thinking, piece of cake: let me just quickly brainstorm a few story ideas and by next week, they’ll be throwing me a parade. Instead, I got a response of mostly silence from journalists who didn’t know me or my company. Had I lost my touch? Meanwhile, I thought the lack of structure and rigidity in the bliss of in-house life would be a welcome breath of fresh air. Now, without the never-ending client meetings and redundant team internals and constant timesheet reporting, I’d have the freedom to set my own priorities – and all the time and mental space I needed to just do what I do best. Instead, I suddenly felt like the gravity had been switched off in my career path, and I was adrift in space. What exactly was it that I was supposed to be working toward? Lastly, I felt the massive pressure of expectations. This company hadn’t really had a PR person before, and most of my new coworkers weren’t at all familiar with my discipline. I sensed skepticism, and started doubting myself. Am I here to start preaching motivational homilies, TED-Talk style, about GetYourGuide in the kitchen, or am I here to set off fireworks in the parking lot while wearing a rabbit suit to attract some press attention? Will they ever grasp exactly what it is I do here? How will I earn their respect? So I wrestled with these questions as I settled in. Add the fact that I was learning about the DACH media landscape on the fly – and I had a lot to chew on, to say the least. I can’t say there was a single moment when things changed or clicked, but a few months in, it became clear that if I was going to find answers and direction, I needed to change my tune. I shut up and stopped telling stories for a second. (Not always the easiest for PR people.) And I started listening to the melody and rhythm of the company I work for. It turned out the expectations I’d perceived from others were just reflections of those I had for myself, and they were pretty unreasonable. It also turned out that the big, abstract answers I was looking for were right there in front of me. I needed to spend some time doing some investigative reporting of my own on GetYourGuide – and not just the public-facing website and app. I took time to learn about how the Finance department processed currencies; how the recruiting team attracted tech talent from all over the world to Berlin; how our approach to connecting our ticketing systems to those of major attractions like the Sagrada Familia gave us a leg up on the competition. As they say, the devil is in the details, and so are the good stories. A mentor and friend from my New York PR agency days once told me (over several whiskeys) that if you’re confident, creative and articulate, you can make quick progress in a young PR career with your wits and your tongue – but if you want to really go far, you need to listen before you speak, and ask before you tell. I knew it was sound advice at the time (and the whiskey helped), but it took a year in Germany for me to grasp its wisdom firsthand. Looking back one year later, I don’t have all the answers, and I have even more questions than I did when I started. But that’s a good thing. The story ends when there are no questions left to ask. I’m looking for someone with curiosity and drive to come ask those questions with me, and craft the answers they find into compelling stories that grab the media’s attention and inspire people to get out there and travel. If that sounds like you, let’s have a chat. Will Gluckin ist Alumnus der PR-Nachwuchsinitiative #30u30. Der US-Amerikaner arbeitet in Berlin. 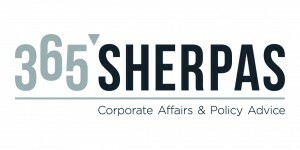 Bis 2016 war New York seine Heimat, und sein Alltag dort war eigentlich perfekt: Als Senior Media Associate bei der Bateman Group versorgte er vor allem Silicon-Valley-Startups mit PR. Privat genoss er mit seinen Freunden das Leben der Super-Metropole. “Ich wollte aber nicht, dass die nächsten Jahre so dahinplätschern, sondern mir einen Job in Übersee suchen, solange ich noch flexibel und ungebunden bin”, erzählt er. Also setzte er sich immer sonntags in sein Lieblingscafé in Brooklyn und recherchierte. Über einen Exkollegen bei Hotwire PR, wo er zwei Jahre lang gearbeitet hatte, kam er mit dem Berliner Tourismus-Startup GetYourGuide zusammen. Via Skype fand er einen Draht zu Gründer Johannes Reck, der ihm einen PR-Job anbot. Im Mai 2017 zog er nach Deutschland. Will sucht derzeit einen Kollegen in seinem Berliner Team. Ihr findet seine Stellenanzeige hier. 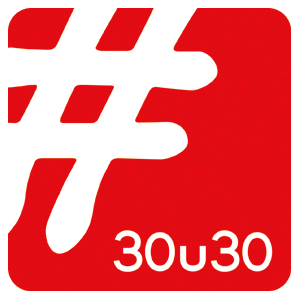 #30u30 ist eine Initiative für junge Ein- und Aufsteiger in der PR- und Kommunikationsbranche. Wir vernetzen Talente und bauen eine Bühne für ihre Perspektiven auf die Branche selbst sowie auf Entwicklungen, die für professionelle Kommunikationsarbeit relevant sind.